The Test Series is behind us, and One Day International Cricket is back. So too, is the tri-series that was such a significant part of the Australian summer for nearly 30 years. This time around, it’s England and India taking on Australia… the first time that those two teams have participated in the same Tri-Series on Australian Soil, but both have tasted success here in the past. England were triumphant in 1986-87, and again 20 years later, and India won their only tri-series in 2007-08! Of course, this is the warm-up for next months World Cup. *All Games commence at 2:20pm AEDST. Today, it’s Australia against the old enemy at the Sydney Cricket Ground. 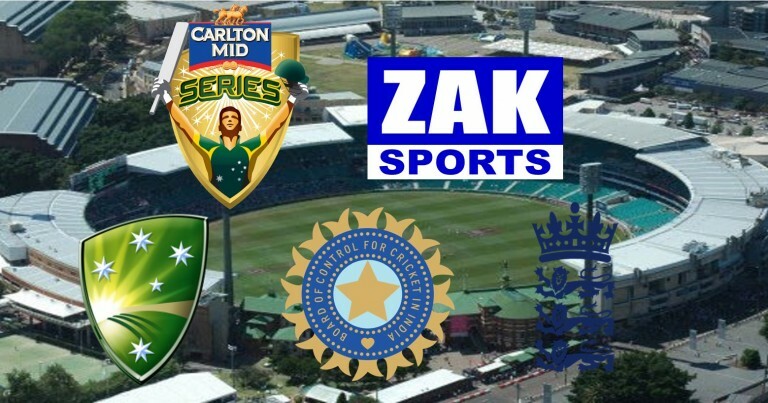 Hello and Welcome to our coverage of the Tri-Series on Zak Sports. 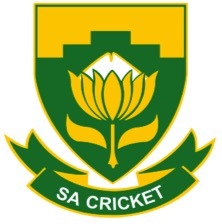 This massive summer of Cricket continues, and our attention returns to the 50-over game, where it was in November, when the Proteas of South Africa were in town. The squads have been announced for the World Cup, and we’ve got three of the top five teams in the world here to entertain us over the next fortnight! Michael Clarke is still out injured, so George Bailey is captaining Australia, and Eoin Morgan will lead England. The News immediately off the top is that England have WON the toss, and will BAT first at the SCG. Here’s a look at the two teams for today’s match. Play commences at 2:20pm AEDST. 2:20pm | Hello again from the Sydney Cricket Ground, where we’re ready for the 1st match in this Carlton Mid Series between Australia and England. England have won the toss, they’ll bat first. 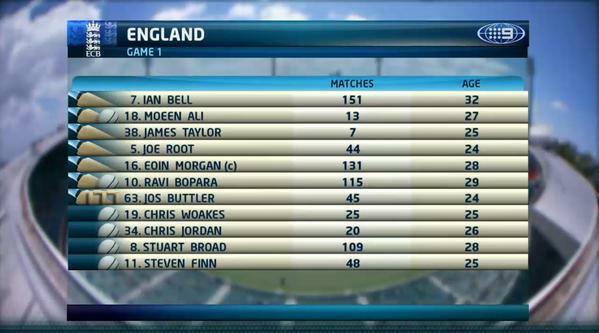 Moeen Ali and Ian Bell will open the batting for the visitors. Bell was magnificent against the PM’s XI the other night, and will be key here too. Moeen Ali is a brand new face for our audience, and it’ll be interesting to see how he fairs. Waiting for us in the Commentary Box are Mark Taylor, David Lloyd and James Brayshaw! GONE!!! LBW… STARC STRIKES IMMEDIATELY, AND IAN BELL… THE DANGER MAN IS GONE… HE MADE 187 THE OTHER NIGHT, AND TODAY HE’S GONE FIRST BALL! 2:24pm | GONE!!! ANOTHER ONE… PLUMB LBW, AND STARC IS TERRORISING ENGLAND RIGHT FROM THE START, JUST AS HE DID TO THE WEST INDIES TWO YEARS AGO! IT’S ALL HAPPENING AT THE SYDNEY CRICKET GROUND… IT’S 2/0! Joe Root will be the new man in! EDGED… GONE!!! 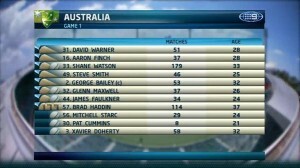 SAFE HANDS SHANE WATSON! PAT CUMMINS HAS HIS FIRST WICKET, AND THAT EDGE FROM JOE ROOT WENT STRAIGHT DOWN WATSON’S THROAT! IT’S 3/12.. JUST CARNAGE AT THE SCG, AND AUSTRALIA ARE WELL AND TRULY ON TOP! GONE!!! ANOTHER ONE… AND IT’S THE MAN THAT WAS DOING THE DAMAGE FOR ENGLAND TOO! GREAT FIELD PLACEMENT FROM GEORGE BAILEY AND GREAT BOWLING FROM FAULKNER, WHO WELCOMED ALI TO PLAY THE SHOT HE DID, AND IT WENT STRAIGHT TO GLENN MAXWELL IN THE DEEP. Xavier Doherty gets his first wicket… England are five down. Jos Buttler is the new batsman, and into the Commentary Box come Mark Taylor, Brett Lee and Mark Nicholas! It’s slow going for England at the SCG, but there’s good news for them at last… Eoin Morgan, their captain, has fifty! 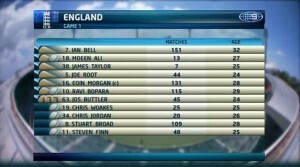 A good innings, but he must go on with it, if England are to be competitive tonight. Mark Taylor has moved into the Commentary Box, and with him are Brett Lee and James Brayshaw! GONE!!! FINDS THE MAN IN THE DEEP, AND UNLUCKILY FOR BUTTLER, IT’S DAVID WARNER, AND HE DOESN’T DROP THEM… AUSTRALIA GET THEIR MAN, AND BREAK THIS PARTNERSHIP! GONE!!! WOAKES IS GONE, AND AUSTRALIA ARE IN TO THE TAIL. STEVEN SMITH HAS TAKEN ONE OF THE EASIEST CATCHES HE’LL EVER GET THE CHANCE TO TAKE, AND THAT’S THE SEVENTH WICKET! THERE IT IS!!! Eoin Morgan… leading from the front… what a hundred that’s been for the captain, and it’s one that will give England some hope this evening. Faulkner finishes with a third wicket, and it’s Glenn Maxwell who takes the catch. Jordan is gone… it’s 8/224! 5:45pm | GONE!!! MORGAN’S ALSO FOUND THE HANDS OF GLENN MAXWELL IN THE DEEP, AND MITCHELL STARC GETS A THIRD WICKET! 5:47pm | GOT HIM!!! FIRST BALL… BEAUTIFUL BOWLING FROM MITCHELL STARC… HE GETS FOUR, AND ENGLAND ARE ALL OUT FOR 234. The Australians have performed brilliantly here… but England should be praised for fighting back the way they did… they were 4/33, but they end with another 201 on the board. It’s still sub-par, but anything is possible in this game of Cricket! So, the task is simple for Australia… they require 235 for victory. Hello again from the Sydney Cricket Ground, where we’re half-way through the opening match in the Carlton Mid Tri-Series. Australia bowled England out for 234 earlier today, and now they’ll go about chasing 235 for victory. Chris Woakes will opening the bowling. David Warner is taking strike, with Aaron Finch at the non-strikers end, and waiting for us in the Commentary Box are Ian Healy, Michael Hussey and Michael Slater! 7pm | GOT HIM!!! FINCH HAS CHOPPED IT ON!!! ENGLAND HAVE THE BREAKTHROUGH AT THE SYDNEY CRICKET GROUND, AND THIS DANGEROUS OPENING DUO HAVE BEEN SEPERATED! 7:30pm | GONE!!! WATSON PULLED IT AWAY, BUT DIDN’T GET ENOUGH ON IT… AND HOLDS OUT TO THE MAN AT DEEP MID-WICKET! A good innings thus far, but there have been some shaky moments along the way. Still a lot of work to do, but Australia are on-track. It’s 2/88! Ali gets the breakthrough, and Steven Smith gets cleaned up, attempting to charge the spinner into the stands! George Bailey joins David Warner, as Lloyd, Lee and Brayshaw continue in the commentary box! GOT IT!!! HE SCORED ONE HERE 10 DAYS AGO IN THE TEST MATCH… NOW, DAVID WARNER HAS A HUNDRED AGAINST ENGLAND IN THE 50-OVER FORM OF THE GAME! It’s 3/179… Australia can now have a crack at winning this inside 40, and getting the bonus point! GONE!!! TRYING TO SCORE QUICK RUNS, IN PURSUIT OF A BONUS POINT, GEORGE BAILEY SACRIFICES HIS WICKET! The walk to the centre took longer than Glenn Maxwell’s stay at the crease, and he gets the rough end of the stick… given out caught behind, but he didn’t hit the ball… Unfortunately for Maxwell, India are in the series, and therefore, DRS won’t be used! So, Brad Haddin joins David Warner, and James Brayshaw, David Lloyd and Ian Healy take over commentary! GONE!!! THE ONSLAUGHT IS OVER!!! DAVID WARNER IS OUT, BUT THE JOB IS DONE FOR AUSTRALIA! 9:33pm | Terrible mix-up in the centre… Haddin commited to a run that wasn’t there, and he’s comfortably run out by Ravi Bopara! THERE IT IS… THE WINNING RUNS FOR JAMES FAULKNER! THE FINISHER FINISHES THE JOB AGAIN FOR AUSTRALIA, BUT THE WORK WAS DONE SO WELL BY DAVID WARNER AT THE TOP! Australia win the opening match of the tri-series by 3 wickets, and pick up a bonus point too. Fabulous performance from the home team, who rattled England early, and then chased hard to ensure the bonus point at the end. England have a lot of work to do… there is no doubt about that. 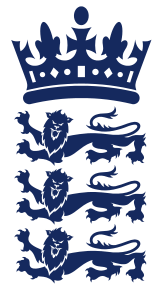 Eoin Morgan was brilliant with the bat, as was Chris Woakes with the ball, but you can’t lose 4/33 in the opening 9 overs, and expect to win a game of limited-overs International Cricket. Plenty of Man of the Match candidates, but it goes to Mitchell Starc tonight, who claimed 4 wickets, including Ian Bell first ball, and the man who was doing the damage at the end, Eoin Morgan, and those two in the first over really set the win in motion for Australia! So, England head to Brisbane for their match against India on Tuesday, but before that, India face this very good Australian team in Melbourne on Sunday. Brilliant day of entertainment here in front of over 25 thousand people at the Sydney Cricket Ground. Australia win comfortably in the end, even if they had to sacrifice a few wickets to get the job done inside 40 overs to ensure the bonus point. Hope you enjoyed what you’ve seen today… One Day Cricket is back, and it continues on Sunday in Melbourne. We’ll see you then. From all of us at the SCG, Goodnight!